I used to scroll through my Facebook feed and come across Wine Mom, a fun Buzzfeed segment where a mom named Hannah would drink and talk about motherhood. Every time she would open with “wine makes me a better parent”. I enjoyed the videos but would also think “where’s Weed Mom?” that’s when I conceived of Weed Mama. While Wine Mom’s comments section was filled with laughter and high five’s, over on other posts where moms talked about their cannabis use, they were absolutely roasted in the comments. There’s a double standard, having a glass of wine or 2 or 3 to manage parenting stress was applauded, cannabis on the other hand was seen as bad parenting. People would quite literally call the mother a bad mother, and irresponsible and a host of hateful names. This is where I saw a need for better cannabis education, and normalizing it’s use, the way alcohol is normalized. Cannabis makes me a better parent because it allows me to relax, it’s a vacation at the end of the day without me having to leave my house. It allows me to be more present and patient with my children. Cannabis is less intoxicating if used correctly and can be used to minimize pain, anxiety and depression, something many parents struggle with. We as parents need all the help we can get and that includes our emotional and physical well being, which suffers when you are go go go. Eating well, exercise and resting when you can is important but so is a vacation from the chaos and the stress. This is where cannabis can really help you as a parent. 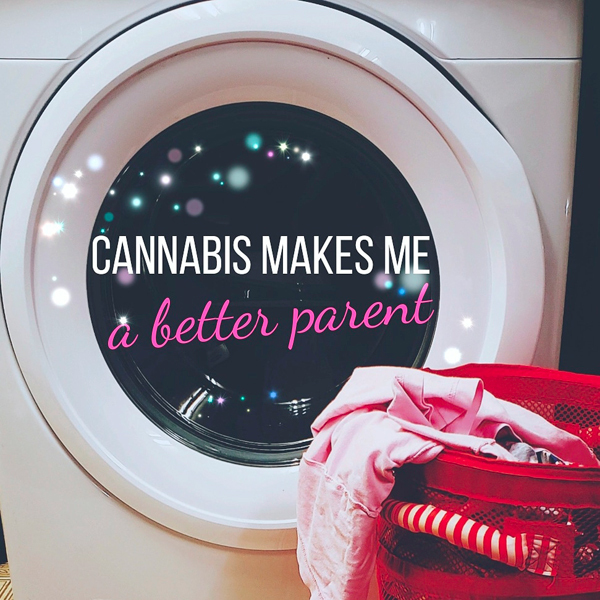 and so, I make no apologies when I say- cannabis makes me a better parent.